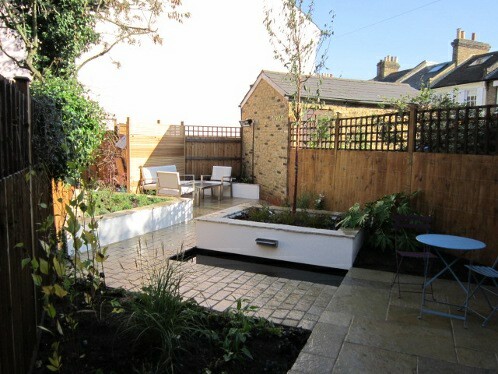 The clients of this house in the White Hart Lane area of Barnes contacted Scott Lawrence Garden design to provide something that was modern in appearance, provide planted interest, be inviting to sit outside, enjoy a glass of wine and regular BBQs. Asymmetrical in layout and then turning the design on 45 degrees provides both extra seating space and a longer path thus making the garden feel larger. 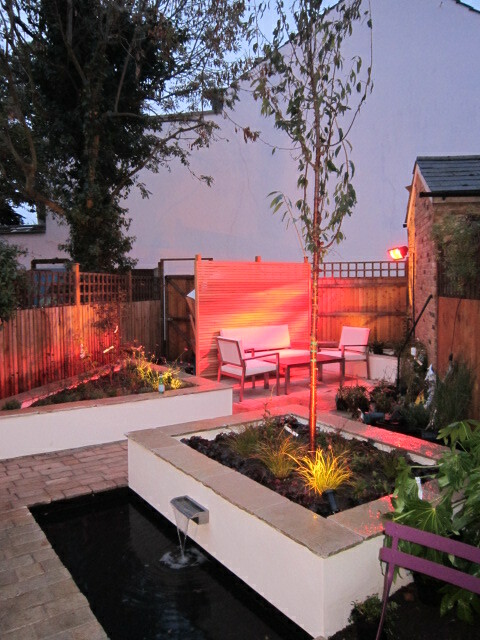 Raised planting beds were added for low maintenance and to give the garden a more permananent 3 dimensional feel. Being on the flight path and next to a busy road a low water feature was incorporated into one of the planters to divert attention from this external source of noise. When not running the large water reservoir acts as a beautiful reflective pool to sit and watch the clouds pass whilst enjoying a glass of wine. Two separate areas are included into this design. 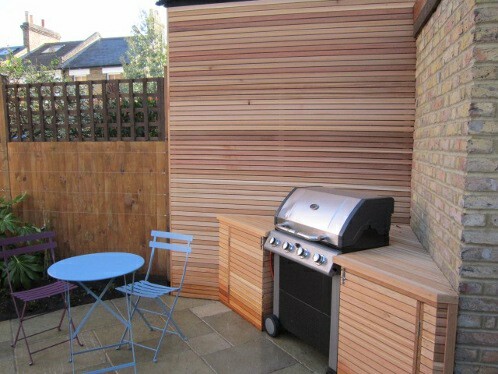 The first a stylish BBQ and bistro table and then the larger comfortable seating area with garden sofas and Infra red heater to keep the evening chill at bay.